Is America Really China’s Greatest National Security Threat? In elementary school, I lived in China for a year. This was the mid-1990s, when China had yet to undergo much of the economic and social liberalization that have since made it a rising global power. We ate most our meals in a restaurant built out of tarps and furnished with plastic lawn chairs. Bicycles were the standard mode of transport, as personal cars were far out of reach for most families and even a moped was luxury. Elderly people dressed in Chairman Mao suits were still a fairly common sight, while I — the only foreign child in a city of several million — was a novelty item subject to pokes and gawking wherever we went. In the subsequent two decades, the Chinese economy has undergone changes that leave it and China more broadly remarkably transformed. That modern China is the subject of new data released by Pew Research, recent survey results shed light on China’s relationship with the outside world in general and the United States in particular. Pew’s report sees a China at once eager for stable economic engagement abroad and wary of foreign entanglement, both in terms of undue American influence and in terms of a Beijing too concerned with matters outside Chinese borders. The overall picture is one of uncertain potential: U.S.-China relations could develop into a positive partnership anchored in trade and diplomacy as China moves further toward freedom — or they could spiral downward, with aggressive U.S. posturing in the South China Sea and in Sino-American interactions pushing Beijing toward closer ties with Moscow. At present, American foreign policy in the region can be characterized as schizophrenic and unsustainable, committed to pursuing both tracks simultaneously. First, the numbers. Pew found the Chinese public is fairly confident about their place in the world. Topping the list of threats to China is U.S. power and influence (45 percent say it’s a problem) while tension with Russia poses less of a risk (just 25 percent deem it a “major threat”). By contrast, the Chinese are not concerned with the threats that preoccupy the U.S. and Europe — just 15 percent, for instance, see the Islamic State as a threat, and only a third worry China will be threatened by climate change or global economic unrest. About 6 in 10 Chinese support continuing to expand the exports and imports that fuel their country’s booming economy, while nearly an equal majority (56 percent) would prefer that Beijing focus its attention on dealing with China’s own problems instead of attempting to solve other nations’ issues. 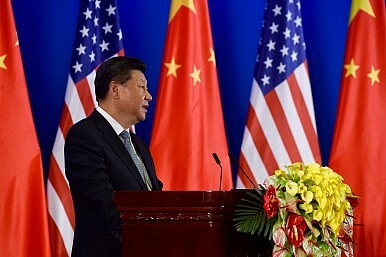 They nonetheless have a favorable view toward the United States, and younger generations of Chinese are more inclined to be friendly toward America than their elders, indicating that positive perspective may well be here to stay. Yet at the same time, Chinese of all ages overwhelmingly want to safeguard their own way of life. They are worried the United States views China as an economic threat to be controlled by force instead of a new player to be welcomed to the world stage. It’s important we try to understand from where this sentiment comes. Of course, the views of the Chinese public are not identical to the policies of Beijing. Still, Pew’s research offers valuable insight into the mindset of a country that could settle into a reliably neutral or even friendly role as partner in commerce for the United States or, if hotter heads have their way, a major weight shifting toward a once again bipolar world that sees the United States pitted against a closer Sino-Russian alliance several decades from now. As it stands, prudence in Washington is all too scarce. Particularly as U.S.-China tensions escalate in the South China Sea, insistent American efforts to forcefully expand our military influence in Asia run the risk of “provoking security fears” in China that might otherwise lay dormant, as the Cato Institute’s Christopher Preble and Charles Koch Institute’s William Ruger explain. A hardline approach to China that prioritizes military containment over the sort of commercial engagement and recognition China seeks “exacerbates the very sorts of problems” — including a real possibility of escalation into large-scale conflict — “that it claims to prevent,” Ruger and Preble add. American and Chinese perceptions of what is happening in the South China Sea are markedly different, so reckless, aggressive approaches to this dispute cannot help but push China toward Russia, which, recall, is already viewed as less of a threat. That is an unwanted consequence we can still avoid. The China of bikes and Mao suits that I saw is dead or at least terminal, and in its place is a growing economic power with young people who want guanxi—mutually beneficial relationships—with the United States. Washington would do well to use that opening to develop a China strategy that rejects rash saber-rattling and prioritizes trade, diplomacy, and stability for years to come. There is a deficit – not in terms of trade, but knowledge. And the surplus is on China’s side.